Ben Swan was born during the 1955 camp season, and he has been connected with Pine Island in some capacity ever since. He spent his childhood at Pine Island, as a camper then as a counselor. He continued as a member of Pine Island Camp's board of directors, returning to the staff in 1988 as assistant director. He assumed the post of director in 1990. 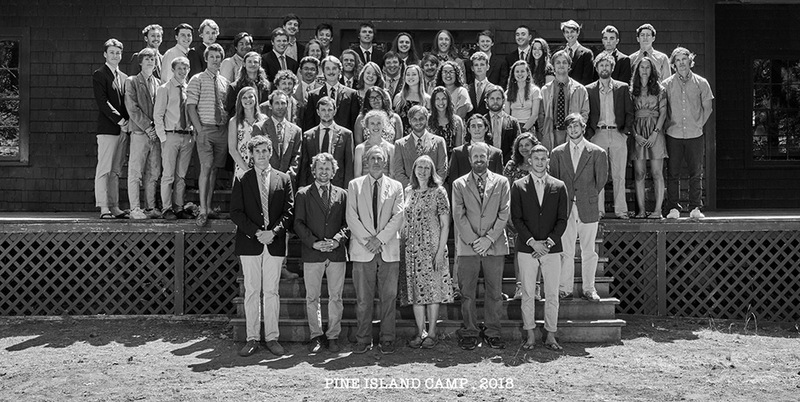 His family's involvement with Pine Island Camp dates to 1908, when his grandfather purchased the fledgling institution, and he is the third generation of his family to serve as Pine Island's director. Ben has a B.A. in English from Washington & Lee University and an M.A. in English from the University of Virginia. He was a teacher at Episcopal High School in Alexandria, Virginia for several years before returning to Maine to work for Pine Island. He and his wife Emily guided Pine Island Camp through its transition to a not-for-profit educational institution in 1994, oversaw Pine Island's acquisition of the Whitehead Light Station in 1996, and orchestrated the celebration of its 100th anniversary in 2002. In the off-season, Ben and Emily live in Brunswick, Maine. Their three grown children Harry, Rip & Katie remain active members of the PIC community. Emily married into the Pine Island Camp community in 1987 and has been its business manager since 1990. In addition to overseeing the details of running the camp, she is the voice at the other end of the phone line during the Pine Island season. Emily has a B.A. in history from the University of the South at Sewanee and a J.D. from Harvard Law School. Emily and Ben raised their children Harry, Rip & Katie in Brunswick, Maine. Emily serves on the board of the local library friends organization and of the Brunswick-Topsham Land Trust, and she volunteers with the League of Women Voters registering new voters at naturalization ceremonies and other public events. She has been an enthusiastic member of her book group in Brunswick for almost 30 years!